In order to enrich the lives of the community and its members, there needs to be a reliable management company in charge. That is literally our name. 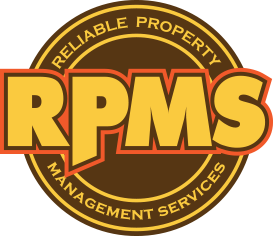 We here at Reliable Property Management Services understand that the value of our services are present in the results that we produce. Our goal is to make sure that you’re not only living in a thriving community, but that you’re able to fully enjoy the benefits without worrying because we are doing our job properly. Your community and its members will feel the comfort that comes with the responsible management and services that we have been providing to our clients for the past 15 years plus. RPMS provides financial services that are driven by four critical characteristics that serve as the foundation upon which to build truly effective fiscal management. The ultimate purpose of effective financial management is to provide accountability for the receipt and disbursement of funds in accordance with the approved budget and generally accepted industry guidelines. Our program begins with the preparation of a detailed operating budget presented to the Board of Directors for review and approval. Our primary objective is to generate and deliver financial statements that provide the information necessary to compare actual performance with projections, which in turn enables the Board to make sound business decisions. A comprehensive maintenance program enhances curb appeal and positively impacts value and pride of ownership. How a community looks is a primary indicator of the overall health and vitality of an association. A community that implements proper maintenance is also more likely to meet their other obligations, which translates into satisfied homeowners. To that end, we help develop and implement comprehensive maintenance programs that enable communities to thrive and operate at peak potential. Communication tools that connect members to each other, the boards, management and community service providers (vendors). Easy access to reference material to keep community residents fully informed on community guidelines, financial operations and the essential components and importance of rules enforcement. Effective management support and guidance of Board Members through direct communiqués, educational opportunities and implementation of best practices to adapt to Civil Code changes and industry trends. Organizational and preparatory services essential to Annual and Board Meeting planning and scheduling, preparation of agendas, reports and documents, maintaining minute books and members’ records and otherwise fulfilling the requirements of the associations as a non-profit mutual benefit corporation.